Lexie Birren says she still has things she wants to do to her landscape, but she brought it by to show me before she flew home to Colorado. 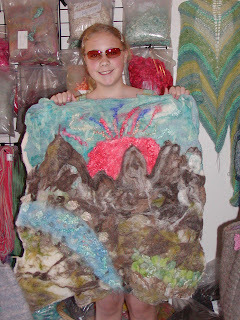 She used some very interesting needle felting to create rocks and her river. They don't show up very well in the photo, but I see an artist in the making.